My daughter has notions of building a rowboat. I wonder where she got that idea? 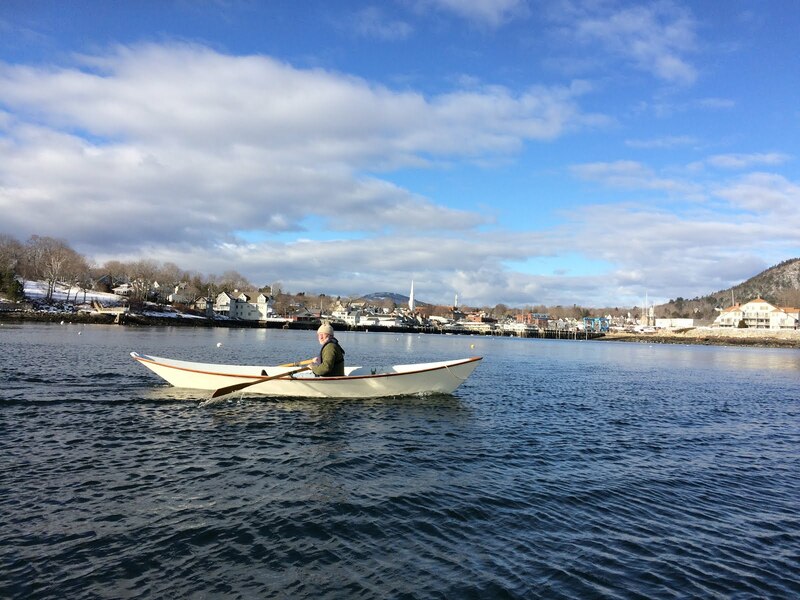 In an effort to help her find a simple and effective build, “Dynamite” Payson’s Gloucester Light Dory came to mind. I’ve seen the design several times in Maine and have been impressed with its docile qualities, simple construction, functional details and elegance. My daughter read the Payson’s “How to Build …” booklet yesterday. However, she didn’t know I’d decided to make her a model as a gift. No push is intended, but maybe it will remind the girl to follow her dream compass. Agreed. Going to let her use the sailing pram in the meantime. Great boat. I’m a little tall for it at 6’2″+, and this bums me out, but I love the boat overall. It pulls at all the perfect heartstrings for a light rowing craft. Beautiful model- perfect fit on any shelf. Speaking of shelf, does she/do you have The Last Grain Race? Fantastic read, fun author. Think she’d prefer a sailing rig. May have to go alone on this boat. Will check out the read. Thanks!